Customers flying Delta can now board using just their fingerprints at Reagan Washington National Airport (DCA) if they wish. The airline says the is available for customers who are members of Delta’s loyalty program SkyMiles, and who have enrolled in CLEAR — an expedited airport security program that costs $179 a year. Delta started testing its biometric boarding procedure in May. The fingerprinting process allows customers to board an aircraft or enter Delta Sky Club lounges without their ID and ticket. Delta says the final phase of its biometric boarding pass test, which is due “this summer,” will allow customers to also use their fingerprints to check in bags. 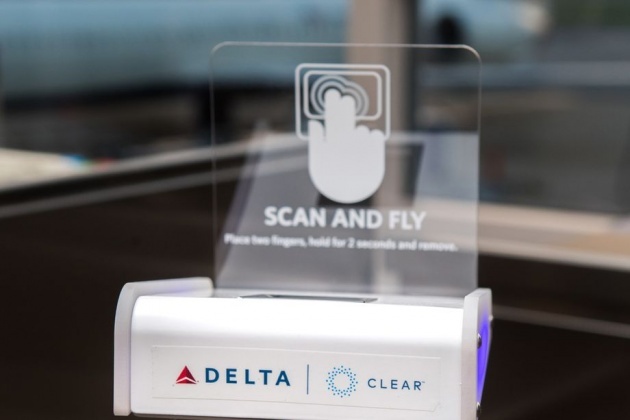 Delta says it’s partnering with CLEAR to power the back end of its biometric boarding system, which at the moment is a pilot program. West says partnering with CLEAR has also made it more “scalable” and the process could expand across Delta’s domestic network in a matter of months.